Nib Type: Broad Imprints: No Length: 5 1/2"
Nib Type: Fine/Medium Imprints: No Length: 5 1/2"
COMMENTS: Parker 51 Vacumatic double jewel pen in black color and sterling silver cap with the chevron pattern. Pearlescent jewels. Gold filled trim. Fitted with a 14K Parker 51 nib that writes a fine/medium line. 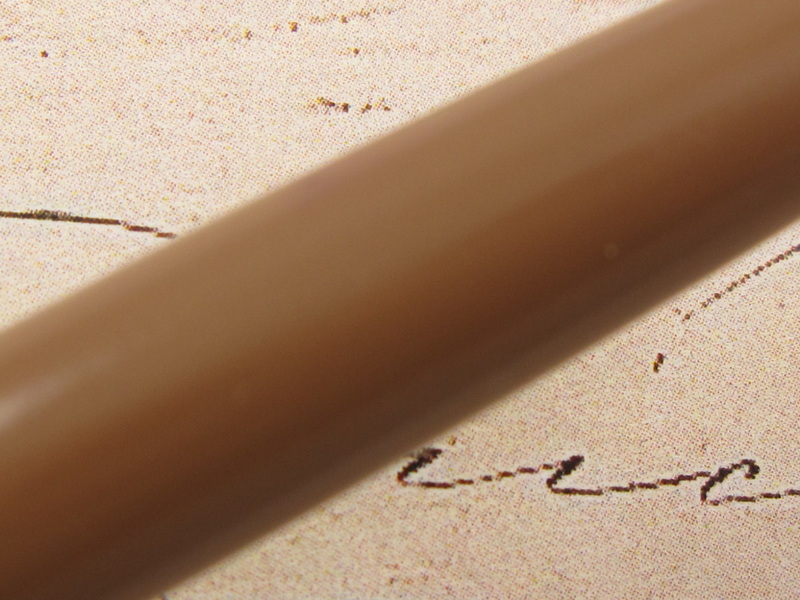 Professionally adjusted nib, smooth and a true joy to write with. Very clean and even colors in the barrel. Sterling material in the cap is not perfect, but very clean. It is actually in wonderful condition when taking in consideration sterling is softer and more fragile than lustraloy and gold-filled caps. Light brassing in the gold clip. 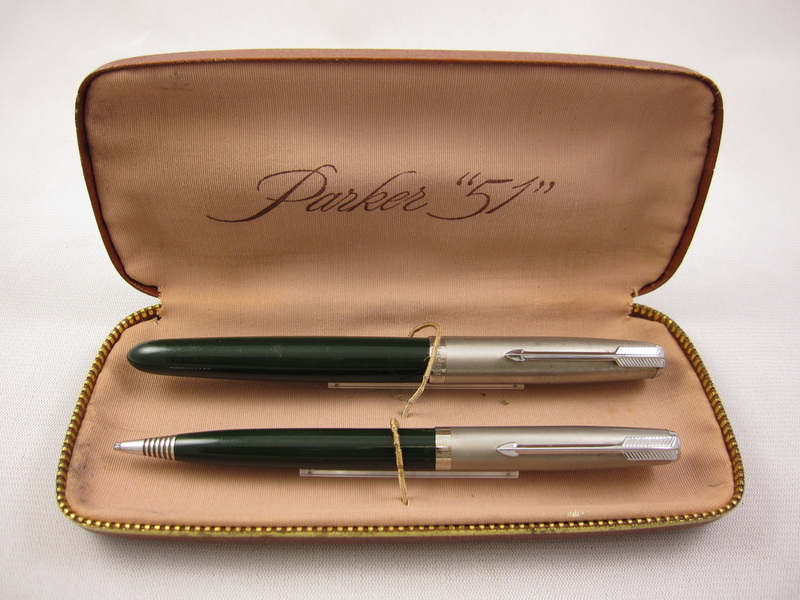 Parker 51 double jewel pens are highly desirable and hold more collectable value over the single jewel version. The sterling silver chevron cap is a very desirable cap and adds significant value. No personalization on the barrel or cap. 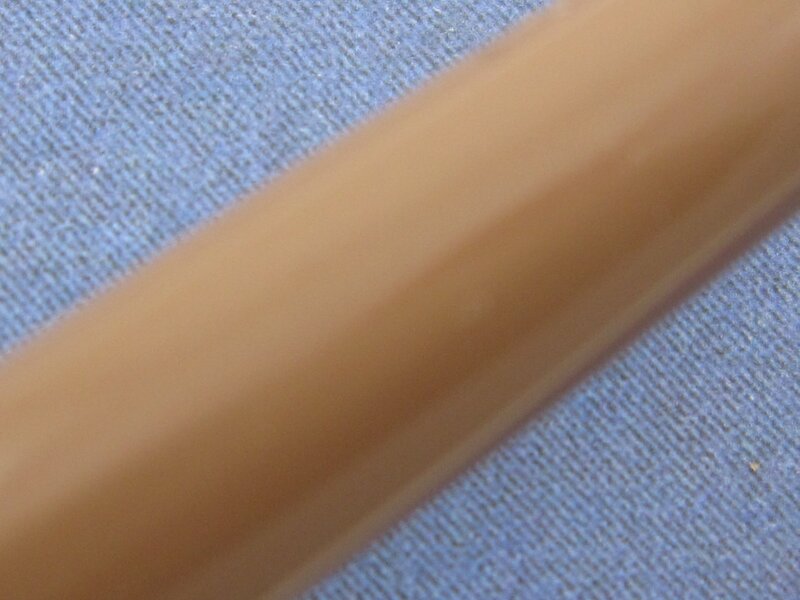 Vacumatic filler with the plastic button. Fully serviced and with new diaphragm. Pen box included with this pen, hard shell type with leather wrapping in its exterior. In great condition. Made in USA in 1948. 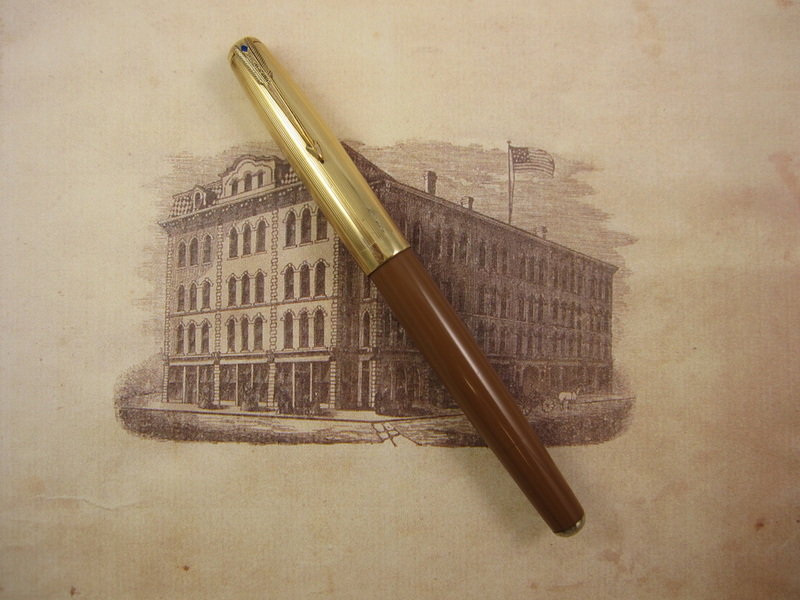 Nib Type: Medium/Broad Imprints: No Length: 5 1/2"
​COMMENTS: Parker 51 Aerometric in Burgundy color and lustraloy cap. Pearlescent jewel. 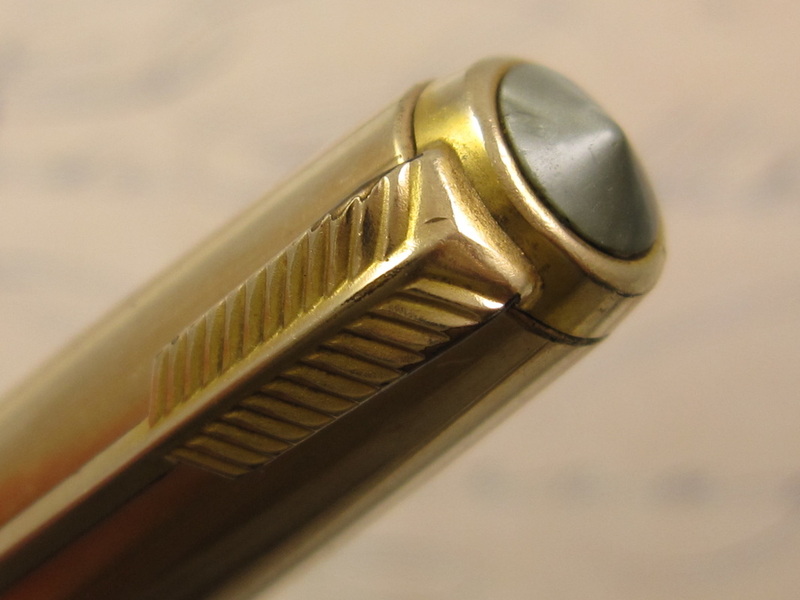 Fitted with a factory original 14K Parker 51 nib that writes a medium/broad line. 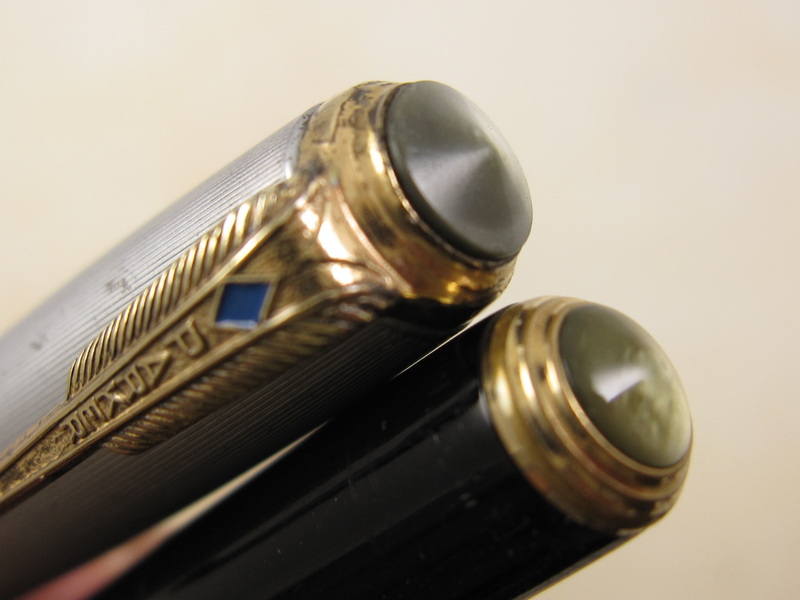 Professionally adjusted nib, smooth and a true joy to write with. 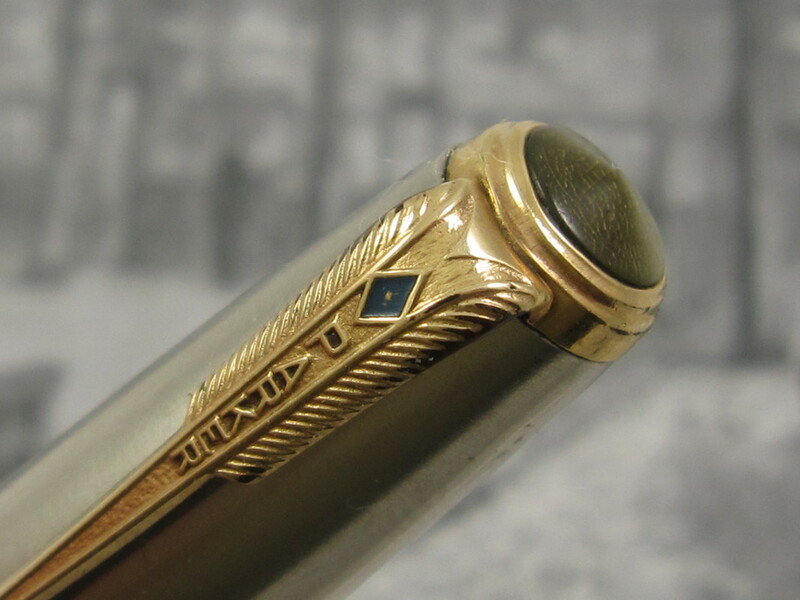 Most Parker 51 pens came fitted with extra fine and fine nibs. 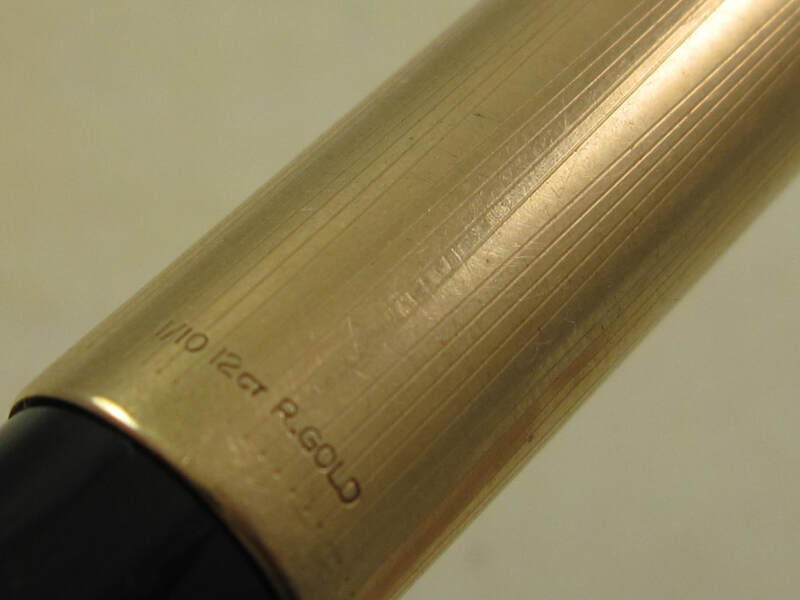 Medium, Broad, and Stub nibs are much rarer and more valuable. Ultra clean and even colors in the barrel. Perfect barrel imprints. Cap is also in fantastic condition. No personalization on the barrel or cap. Aerometric filler. Serviced. Made in USA in 1948. Presentation box included. It is made out of cardboard, the top swivels against the bottom to open up. Cream liner inside. Parker imprint on top of the box. Very good condition pen box. 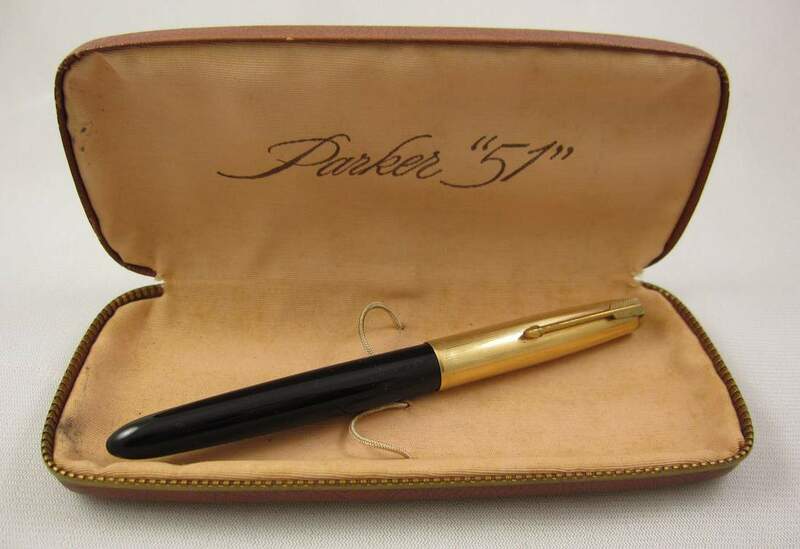 ​Note: Willing to sell the pen without the pen box for $250. Nib Type: Broad/Double Broad Imprints: No Length: 5 1/2"
​COMMENTS: Parker 51 aerometric pen set in black color and gold-fill cap. Pearlescent jewel. Fitted with a 14K Parker 51 nib that writes a broad/double broad line. 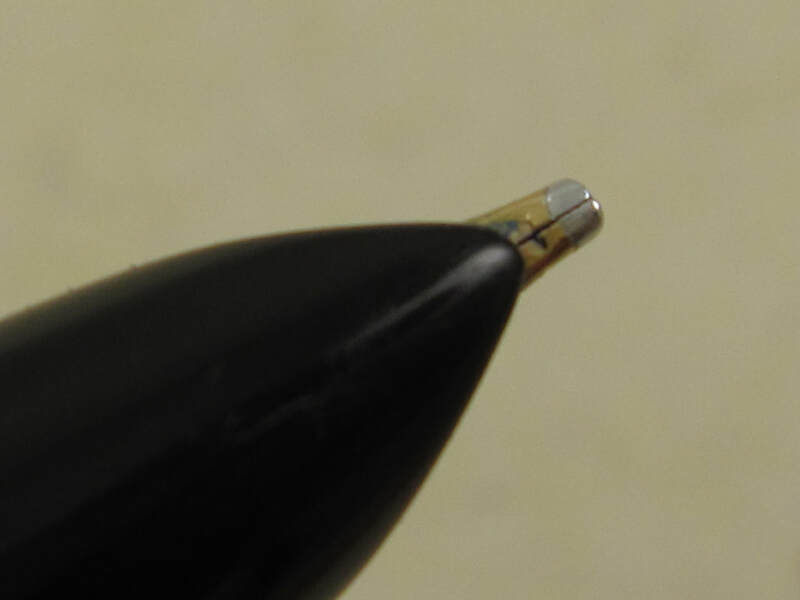 Professionally adjusted nib, smooth writer. Very clean and even colors in the barrel. Good cap imprints. No barrel imprints. No personalization on the barrel or cap. Aerometric filler. Fully serviced. Pen box is included with the pen, hard shell type. Made in USA in 1947. 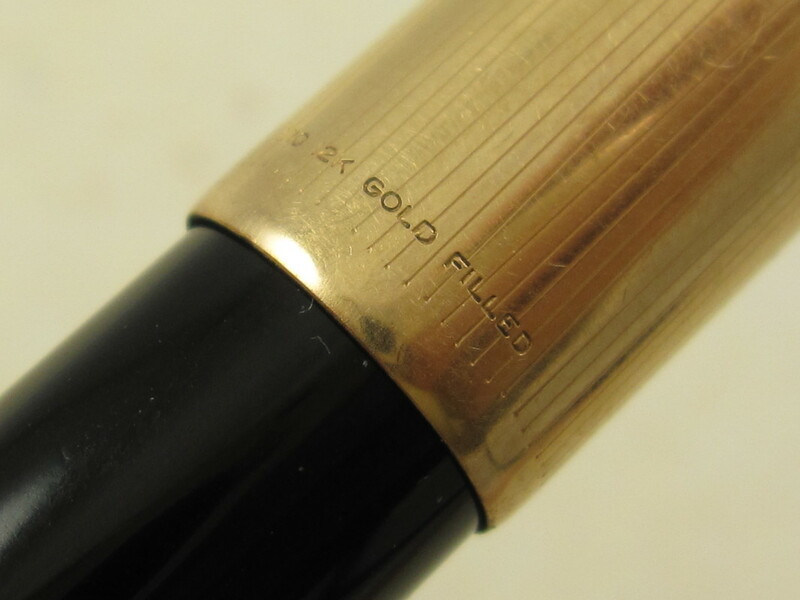 Nib Type: BB Stub Imprints: No Length: 5 1/2"
​COMMENTS: Parker 51 Aerometric Black color and "rolled gold" cap with the clusters of converging lines. Pearlescent jewel. Fitted with a 14k Parker 51 BB Stub nib. 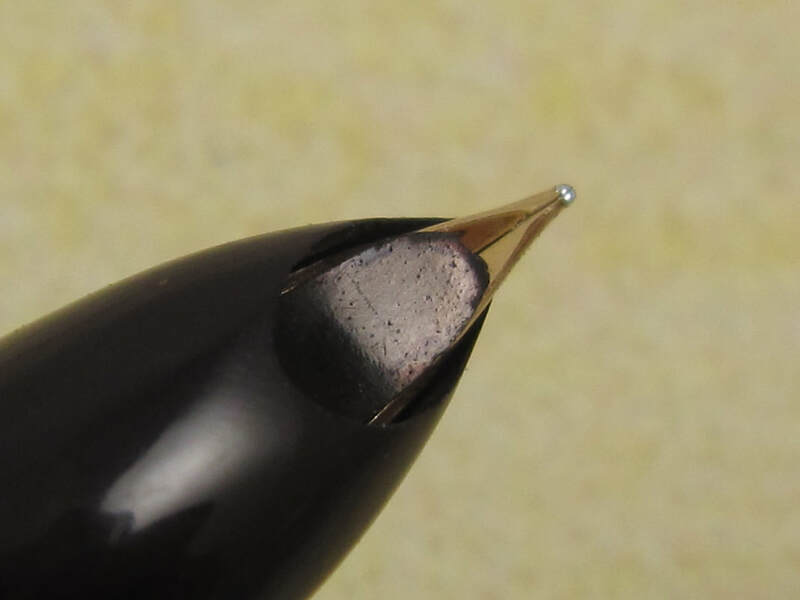 This is a factory original nib, not a modified or retipped nib, a very rare and highly valuable nib. 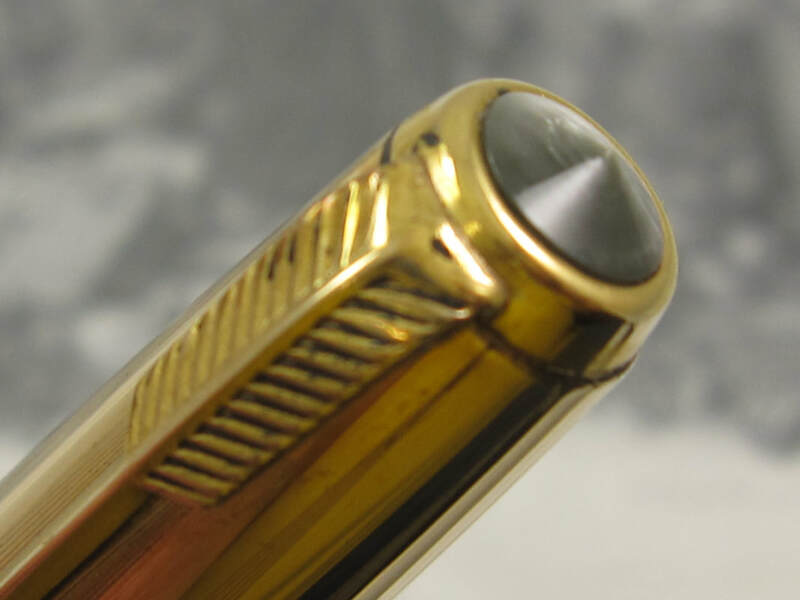 Professionally adjusted nib, smooth writer, and capable of producing very think lines. 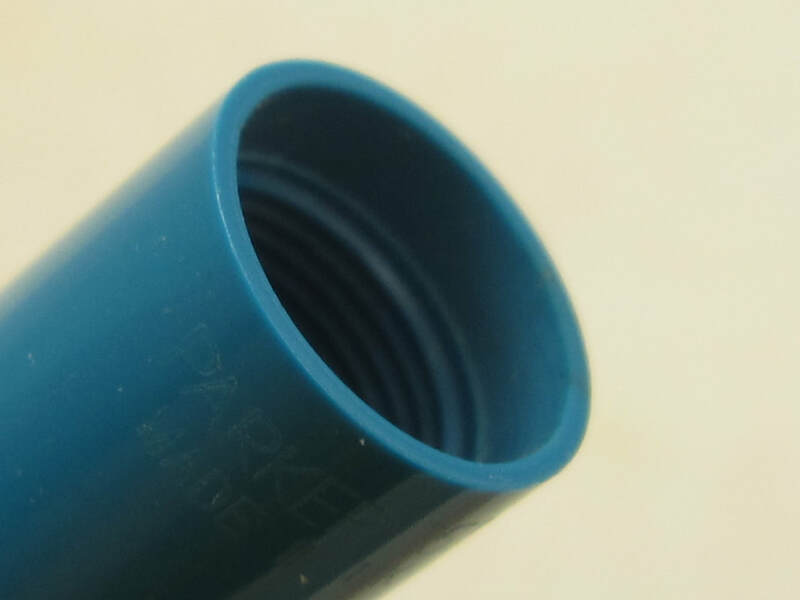 Nice, clean and even colors in the barrel. Good barrel imprints. No personalization on the barrel or cap. Pearlescent jewel has a small hole in it. 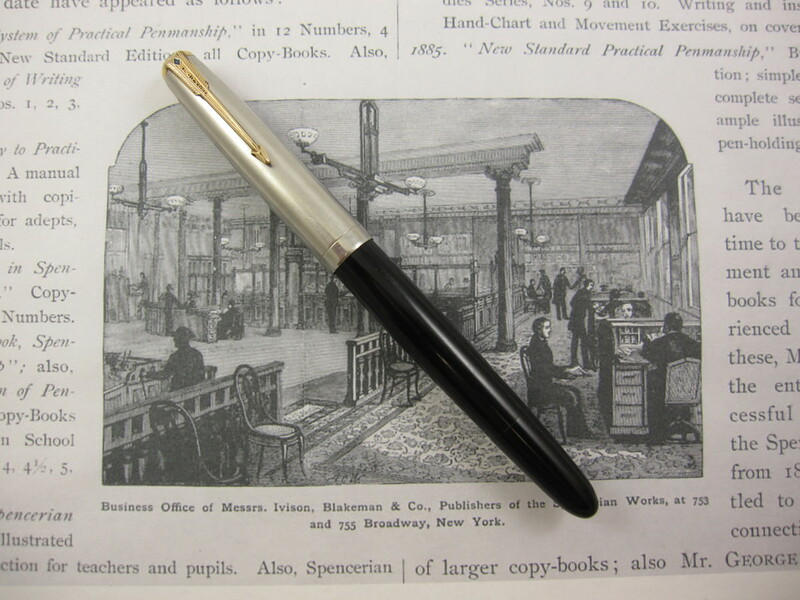 Otherwise, this is an extremely clean pen with a Aerometric filler mechanism. Fully serviced. 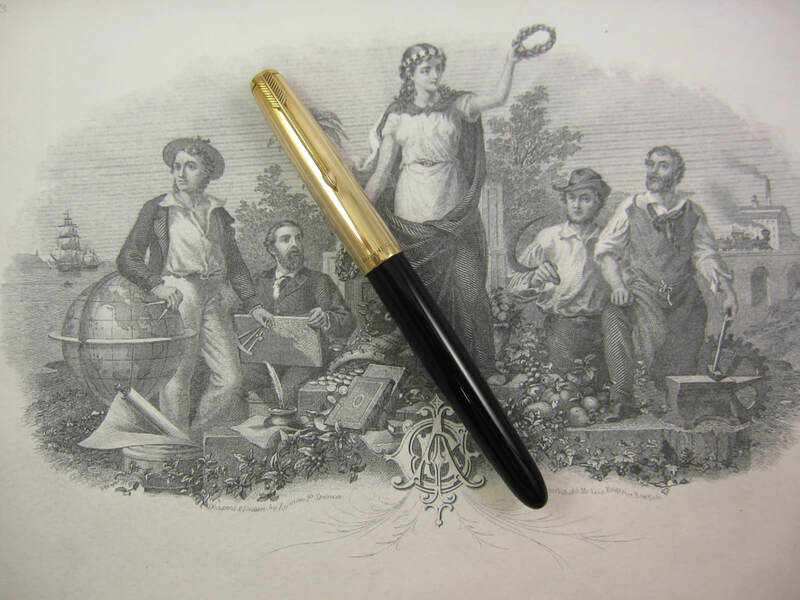 Pen box included with the pen, hard-shell type with black velour, cream liner, gold trim, and in fantastic condition. Made in England in the 1950s. 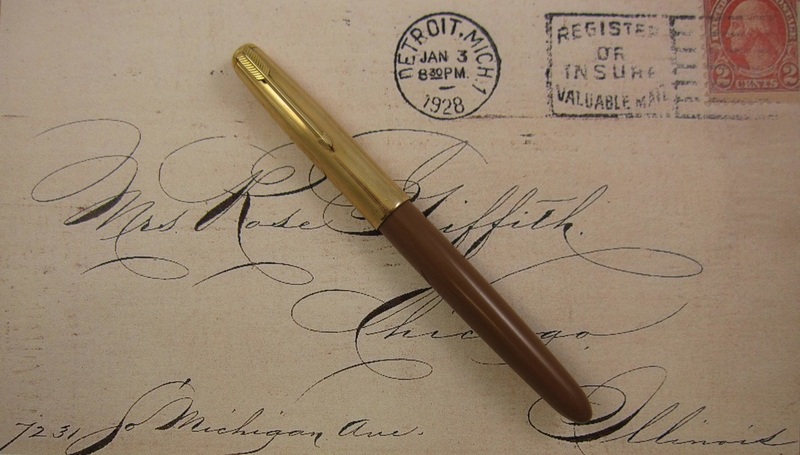 COMMENTS: Parker 51 Aerometric in cocoa color and gold-fill cap. Pearlescent jewel. 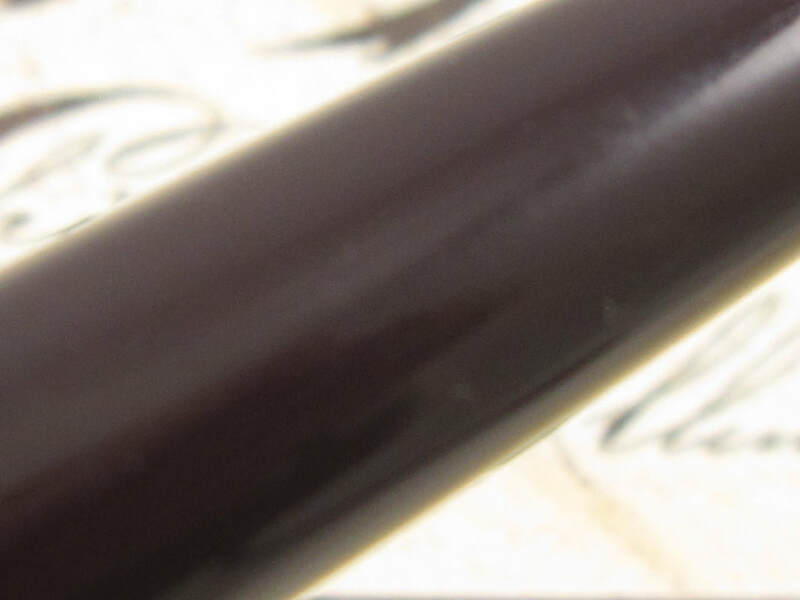 Fitted with a 14K Parker 51 nib that writes a fine/medium line, a more desirable nib. 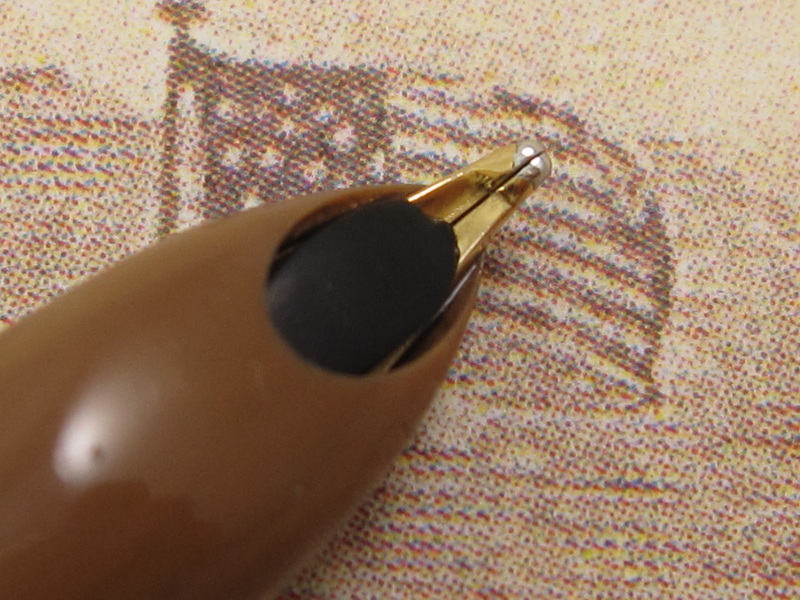 Professionally adjusted nib, smooth and a true joy to write with. Very clean and even colors in the barrel. No barrel imprints. Aerometric filler. Fully serviced. Made in USA in the 1950s. 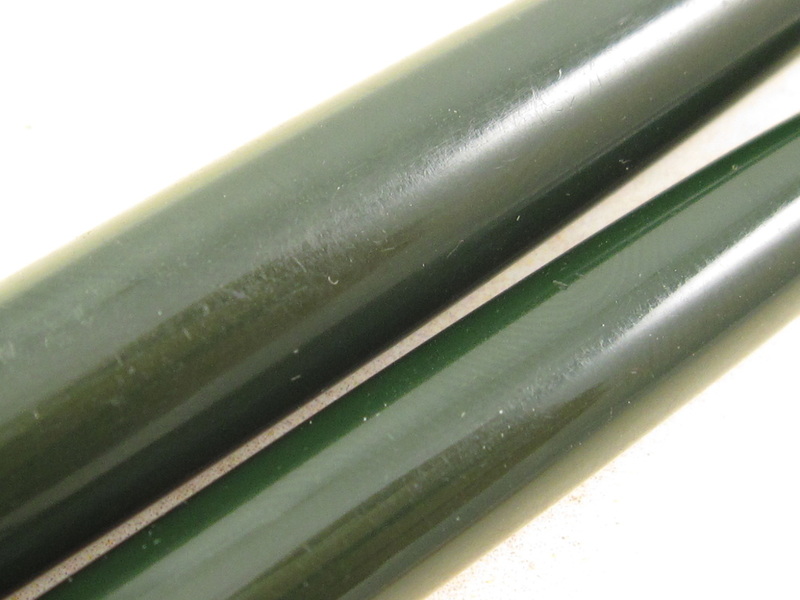 Nib Type: Fine Imprints: No Length: 5 1/2"
​COMMENTS: Parker 51 Aerometric pen set in Forest Green color and lustraloy caps. Pearlescent jewels. Full sized model. Pen set is comprised of the fountain pen, mechanical pencil, and pen box. 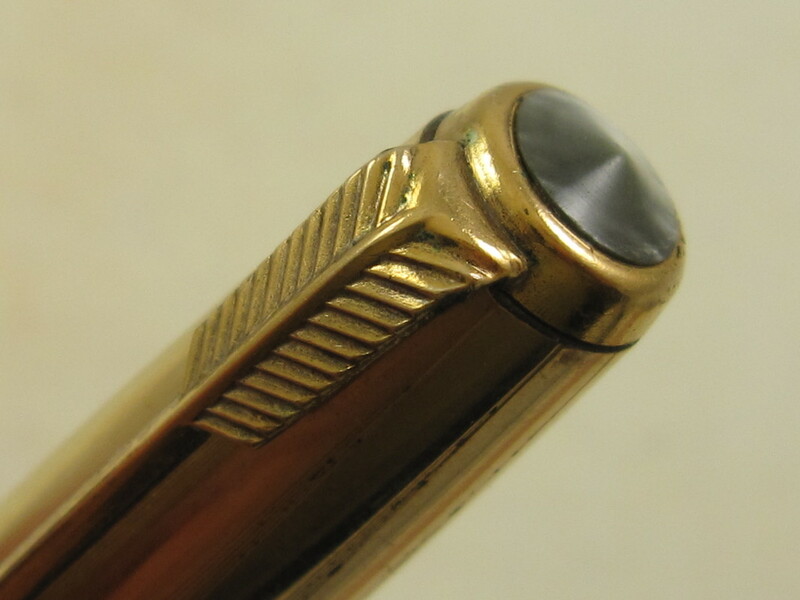 Fitted with a 14K Parker 51 fine nib. 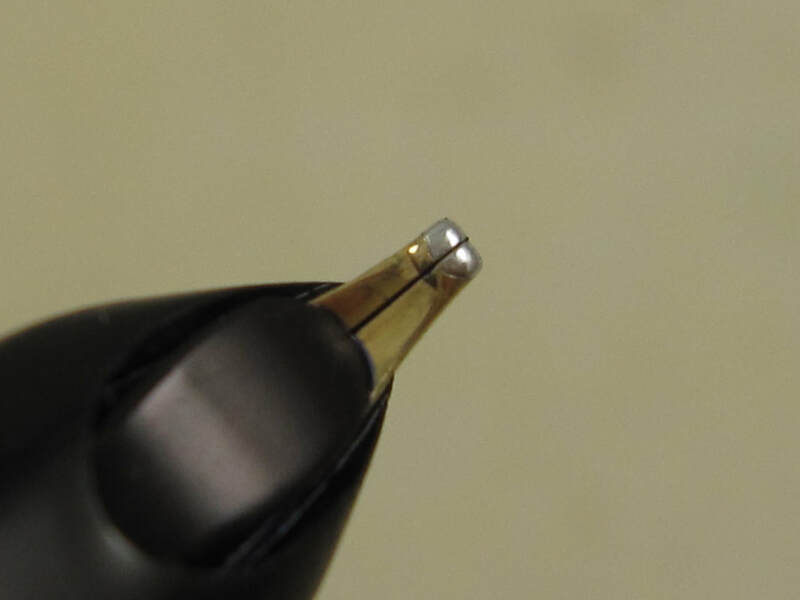 Professionally adjusted nib. Ultra smooth and capable of writing some nice thick broad lines. Perfect barrel imprints. Aerometric filler. Fully serviced. Pen box included with this pen. Hard shell type and in awesome condition. Made in USA in 1958. 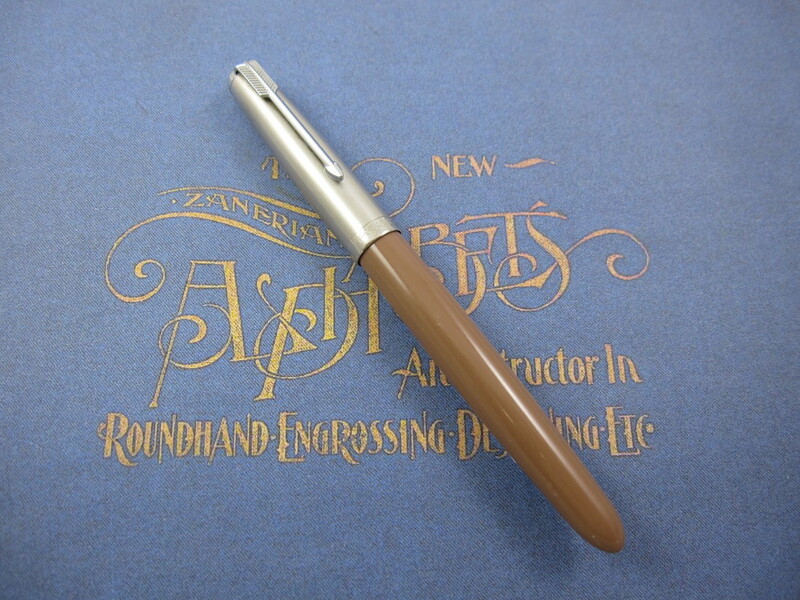 Nib Type: Medium Imprints: No Length: 5 1/2"
​COMMENTS: Parker 51 Aerometric in Cocoa color and lustraloy cap. Pearlescent jewel. Fitted with a 14K Parker 51 nib that writes a medium line. 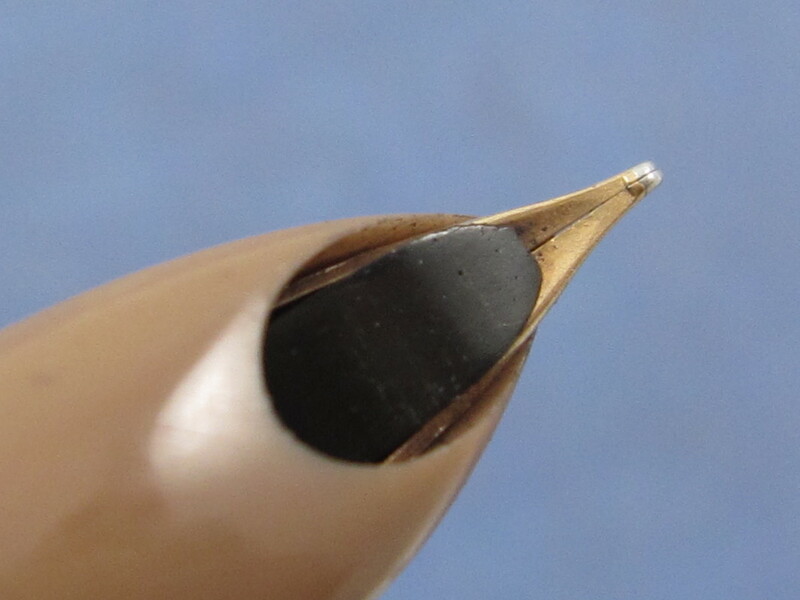 Professionally adjusted nib, smooth and capable of producing very thin lines. Ultra clean exterior. Great barrel imprints. No personalization on the barrel or cap. Aerometric filler. Fully serviced. Made in USA in 1957. FACTORY ORIGINAL DOUBLE BROAD NIB !!! Nib Type: Double Broad Imprints: No Length: 5 1/2"
COMMENTS: Parker 51 Aerometric pen set in Burgundy and lustraloy caps. Pearlescent jewels. 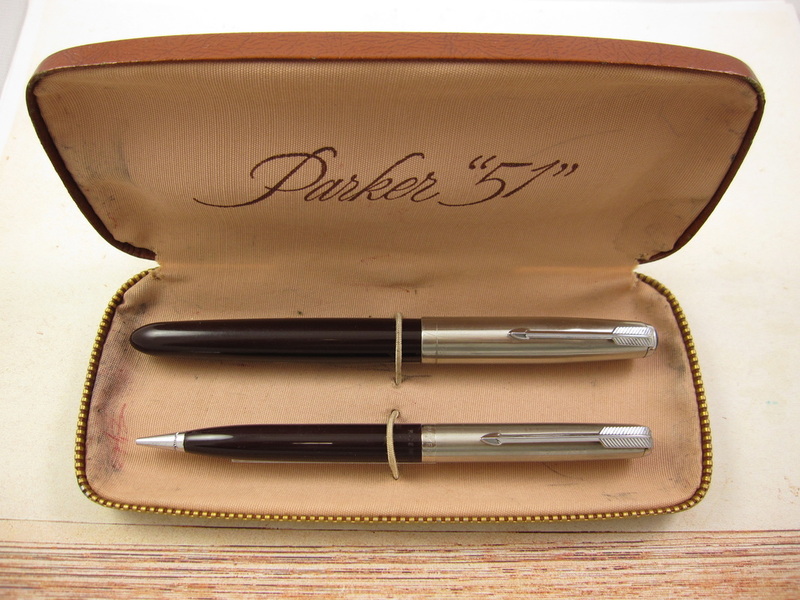 Pen set is comprised of the fountain pen, mechanical pencil and presentation box. Full sized pen. 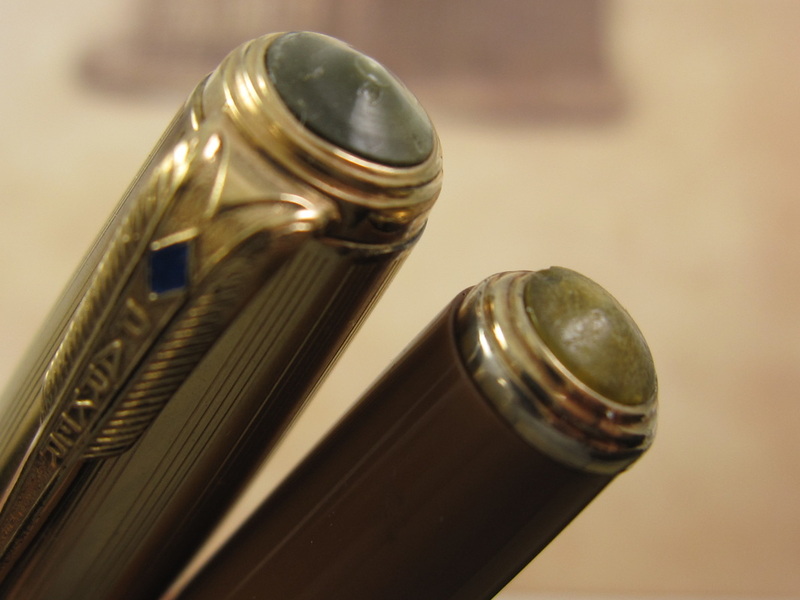 Fitted with a factory original 14K Parker 51 Double Broad nib, an ultra rare nib. 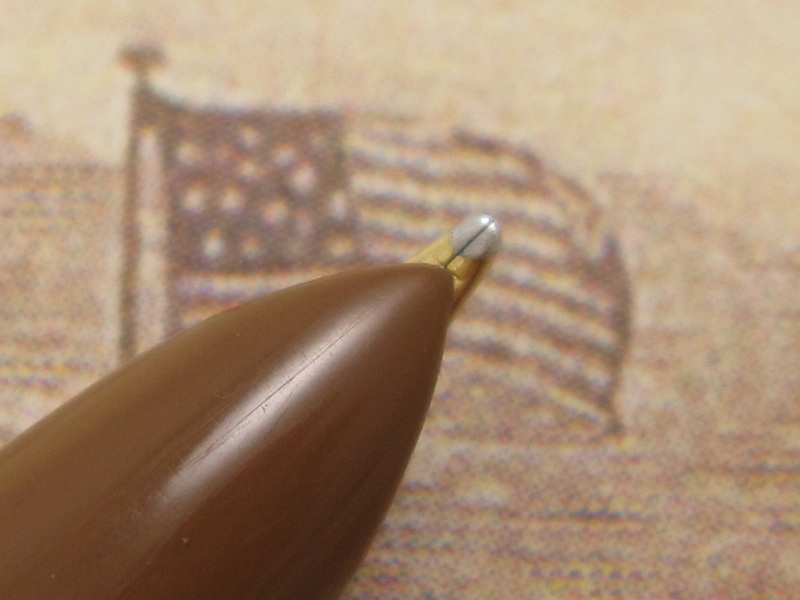 Professionally adjusted nib, so smooth that glides on paper. 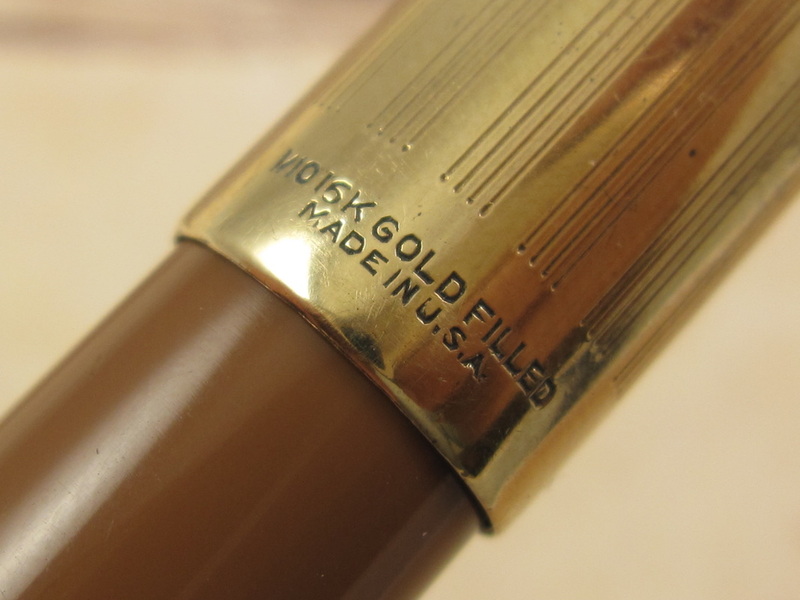 Most Parker 51 pens came with XF and F nib. Finding a factory original Broad nib is virtually impossible. 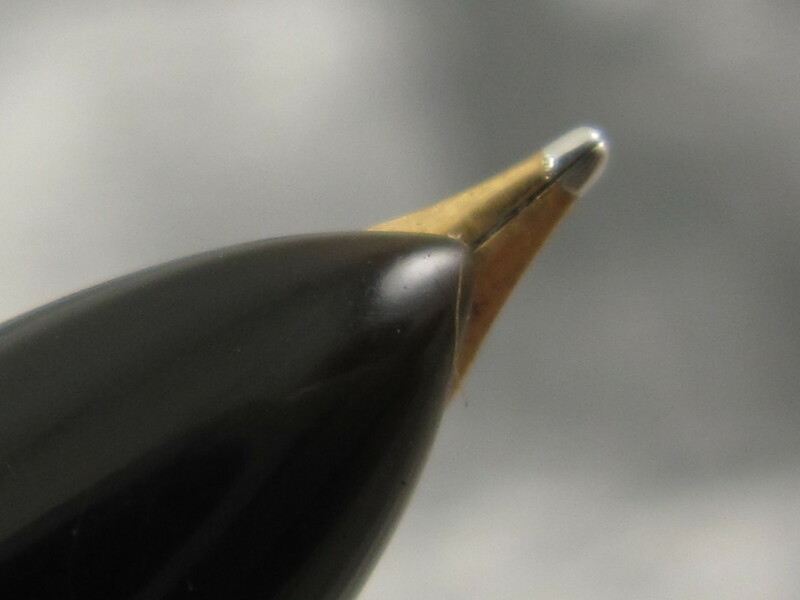 A nib like this is almost impossible to be found in the market place nowadays. No barrel imprints. 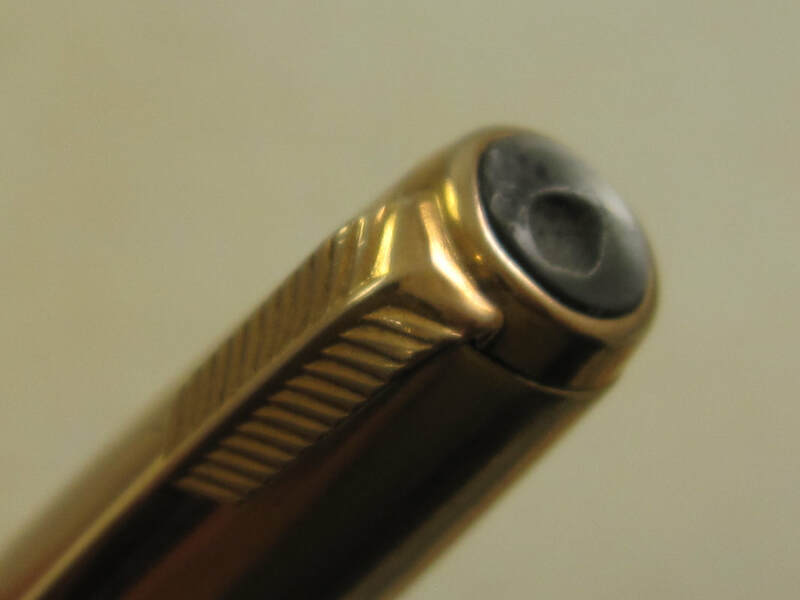 Light scratches throughout the exterior of the pen. 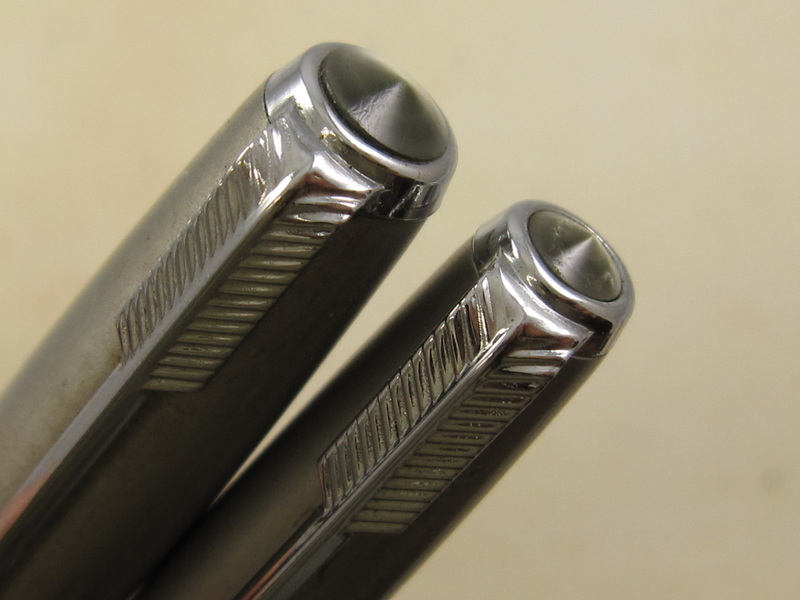 Otherwise, this is a clean pen and in the classic burgundy/silver colors. Aerometric filler. Fully serviced. 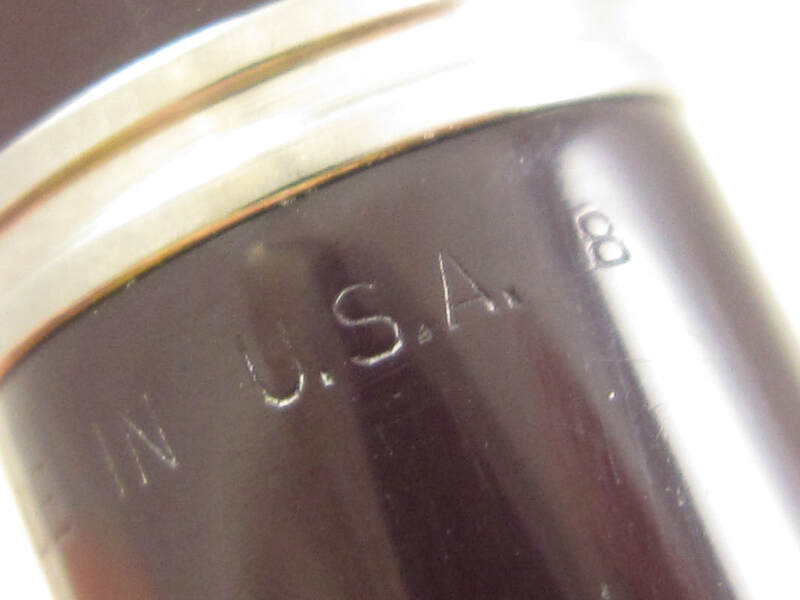 Made in USA in the 1950s. 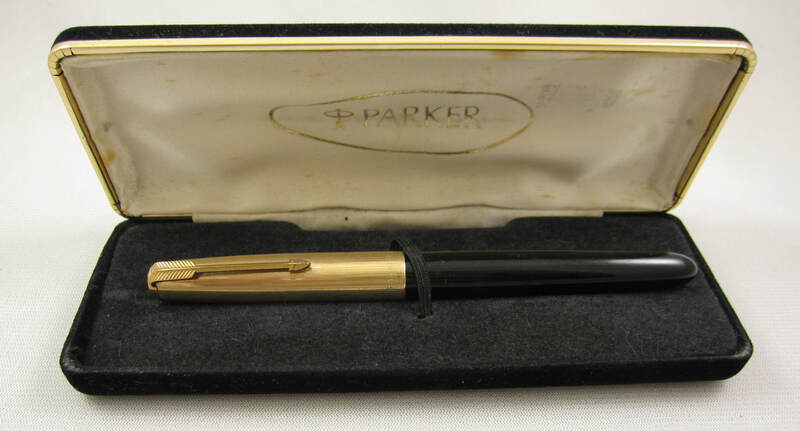 COMMENTS: Parker 51 Vacumatic with a black barrel. 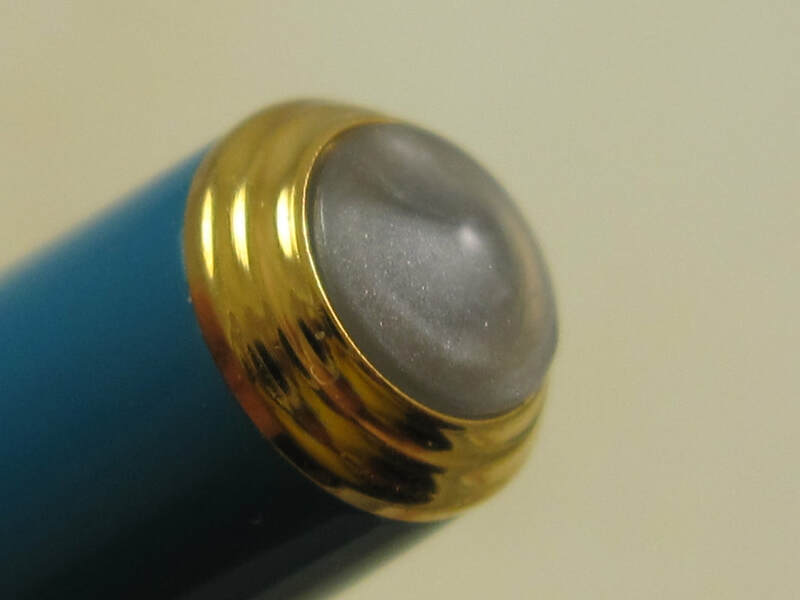 Dual-tone cap with lustraloy sleeve, gold clip, and blue diamond. Pearlescent jewel. Full sized pen. Fitted with a 14K Parker 51 nib that writes a medium/broad line. 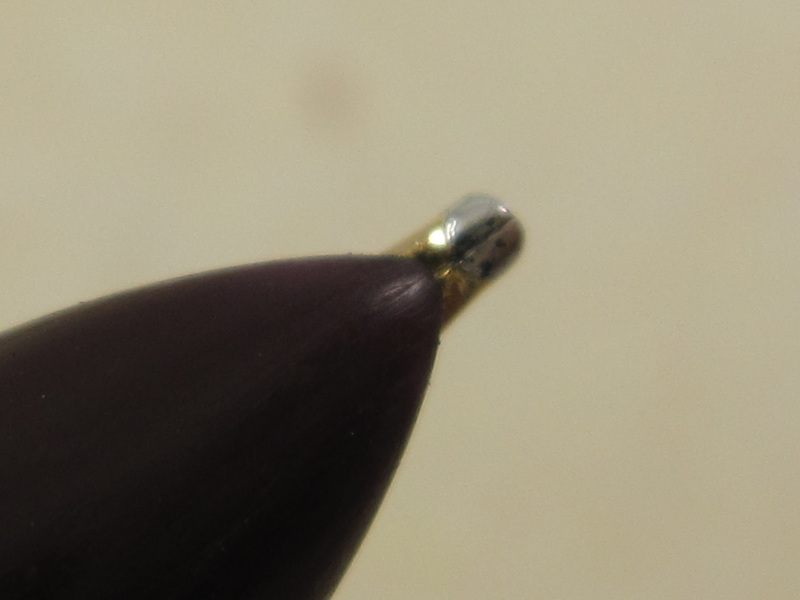 This is a factory original nib, not a retipped or modified nib. Great barrel imprints. Ultra clean cap with no tarnish or brassing. 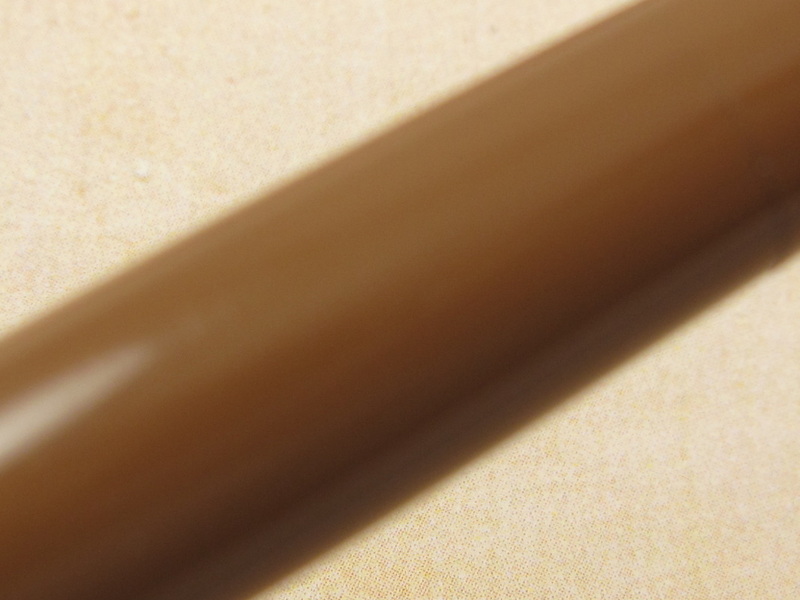 An ultra clean pen. Being very generous by not grading this pen as in near mint condition. 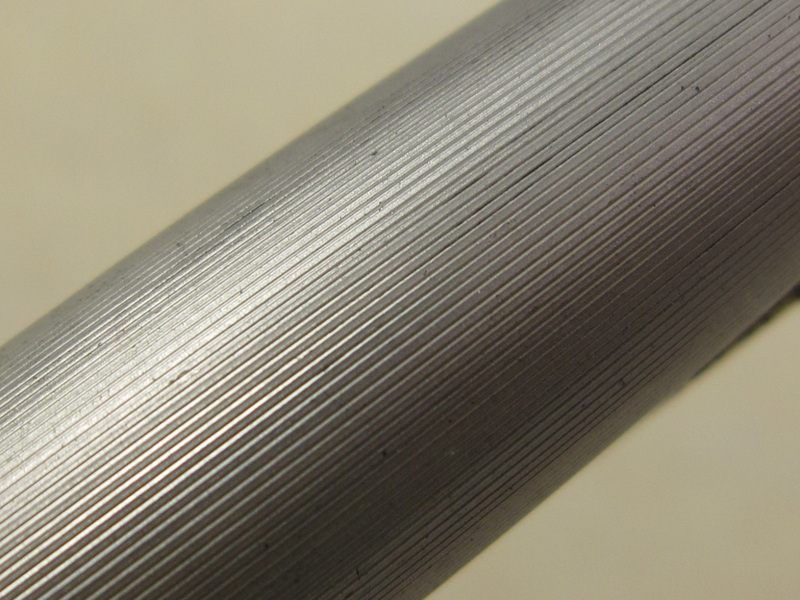 Vacumatic filler. Fully serviced. Made in USA in 1948. 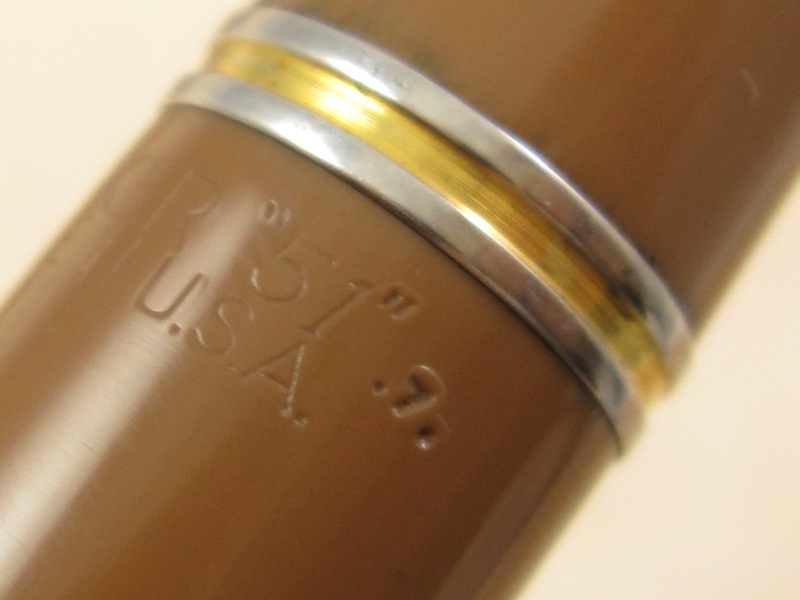 Nib Type: Medium/Broad Imprints: No Length: 5 3/8"
COMMENTS: Parker 51 Aerometric in Black color and gold cap. Full size pen. Pearlescent jewel. Fitted with a 14K Parker 51 medium/broad nib. 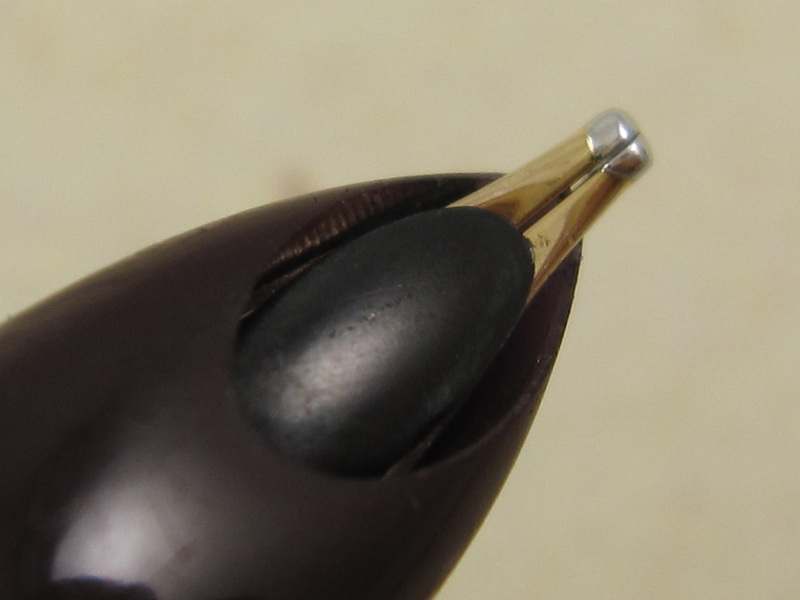 This is a factory original nib, not a modified or customized one. Ultra smooth writer. 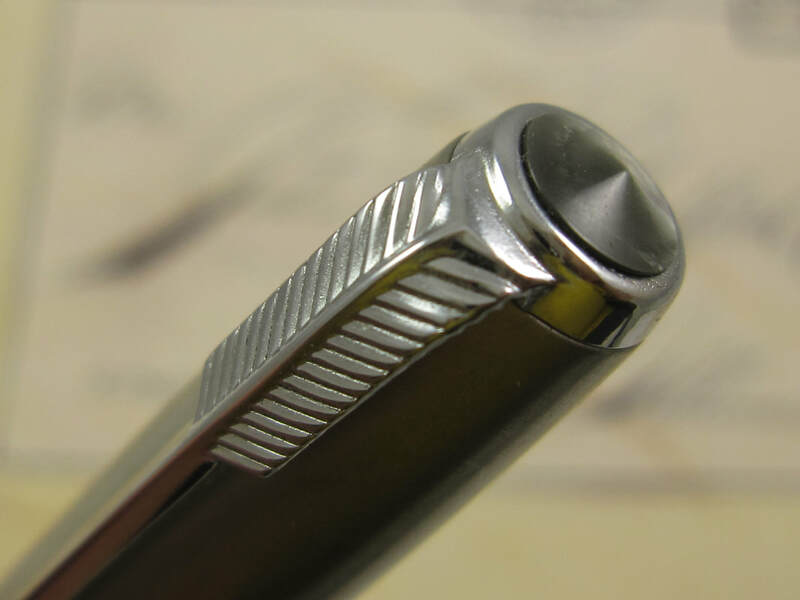 The tipping is very rounded, making it ideal to an over writer or to someone who likes to write very fast. Ultra clean pen. No barrel imprints. Aerometric filler. Fully serviced. Made in USA in the 1950s. 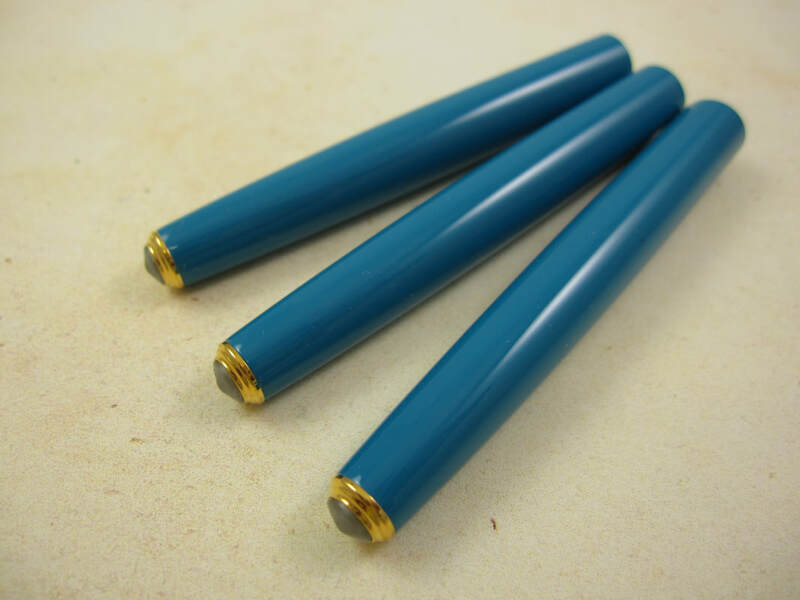 Note: Shipping will be free if consolidated in the same shipment of a fountain pen. Separate shipments (uninsured) will be $3 per package within the US or $12 international. Insured shipping will be more.